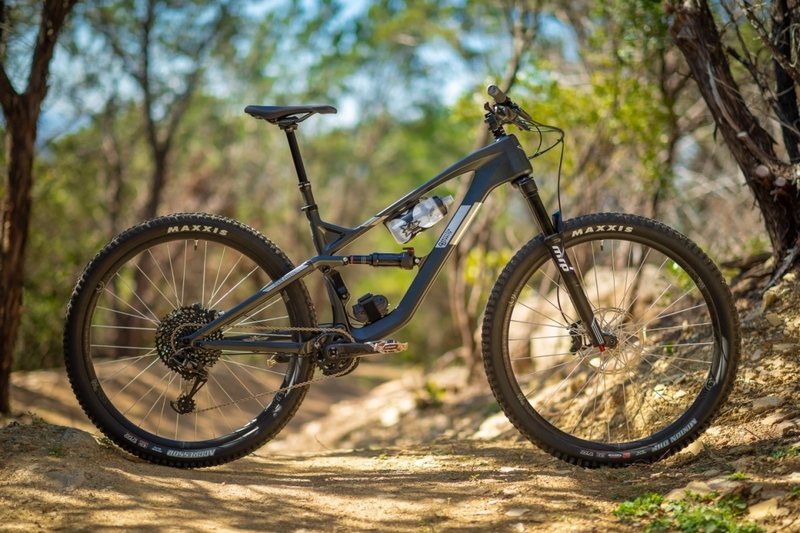 The move from aluminum to carbon was just the first part of Guerrilla Gravity’s big unveil. 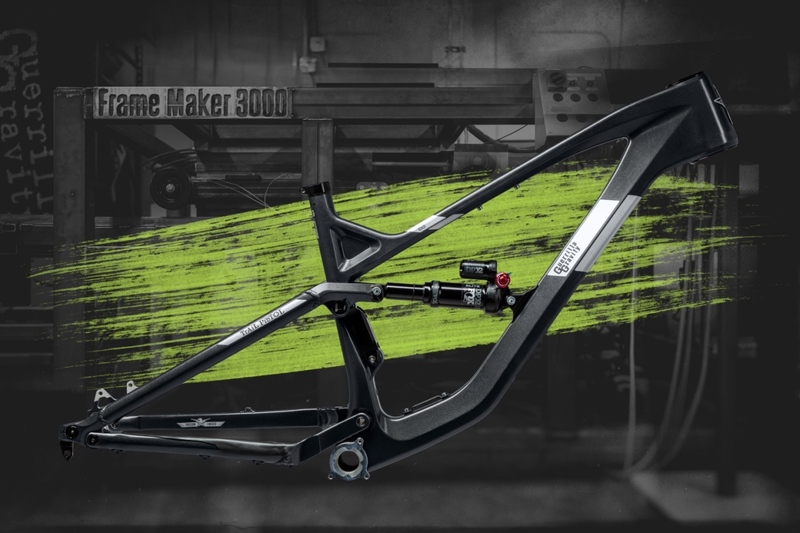 This small Denver, Colorado-based mountain bike manufacturer hopes to make the most of its new frame technology by allowing riders to buy one front triangle and turn it into any of its four models by swapping seatstays kits and shocks. They call it Guerrilla Gravity Revved. 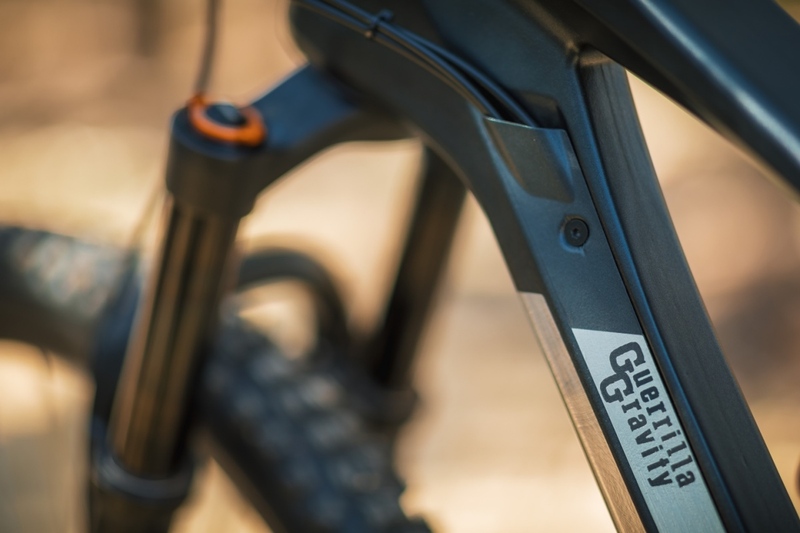 Company co-founder Will Montague wants riders to think of the new Guerrilla Gravity Revved frame platform as more of an ecosystem than a specific frameset. 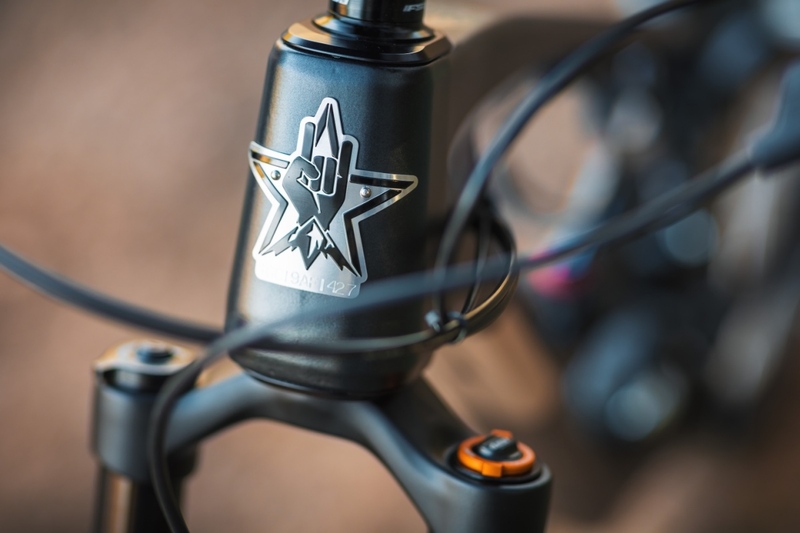 All four of Guerrilla Gravity’s full-suspension models share the same full carbon front triangle. 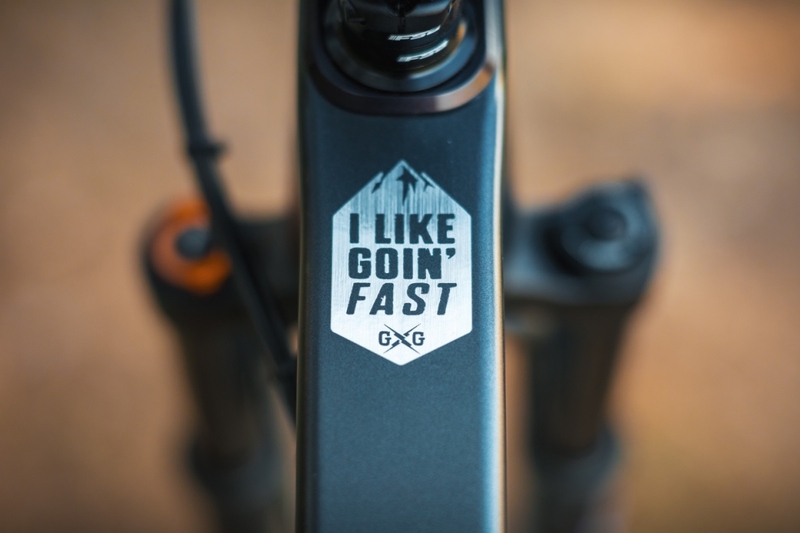 The company has done away with small through XL frame sizing in favor of 1 through 4 numbering to encourage riders to buy based on reach, rather than preconceived notions of what size frame they’re accustomed to. The new frame also employs a geometry adjusting headset system. 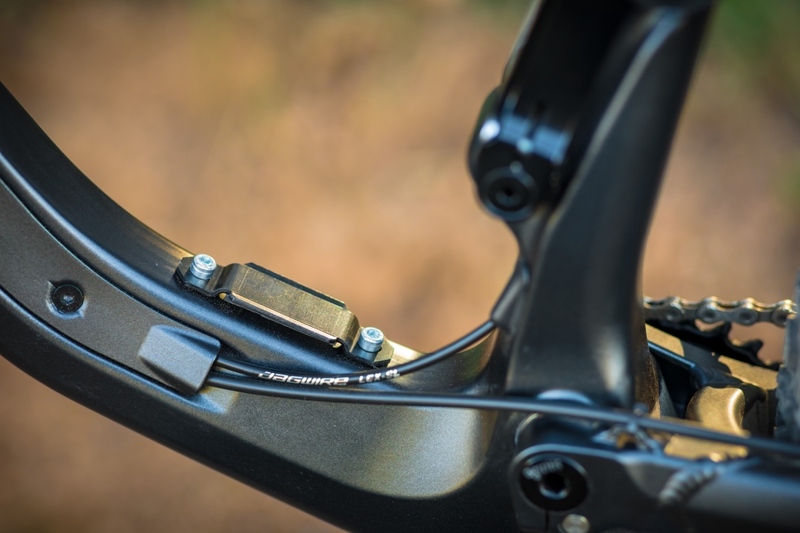 It’s essentially a flip-chip system sandwiched between the headset that allows riders to increase or decrease reach by 10mm to create “long” and “short” frames. The lower cup is offered in zero and 15mm stacks to tune head tube angle or to take into account 27.5-inch wheels. Another interesting front-end feature is the cable routing. 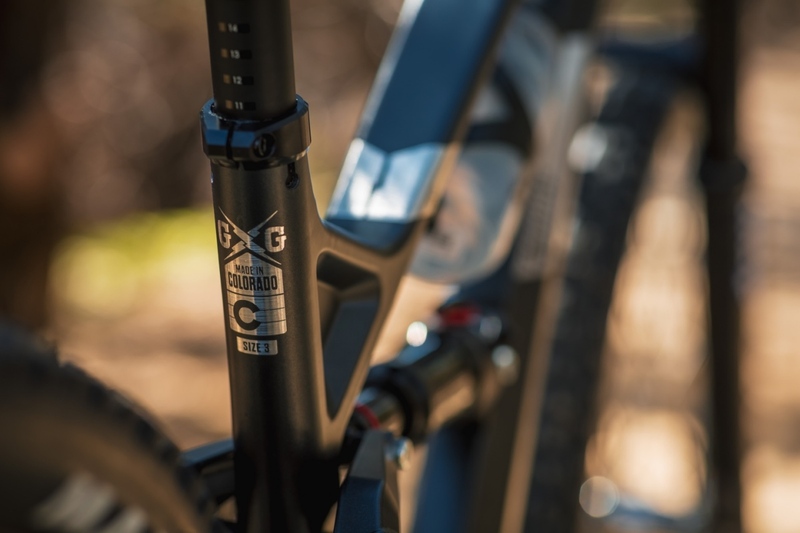 Rather than route the dropper, shift and rear brake lines through the frame, as has become the norm, Guerrilla Gravity has tucked them beneath a removable cover that runs down the non-drive side of the downtube. This makes for a clean appearance without the hassles (and occasional expletive-laden outbursts) that sometimes accompany internal routing. All frame sizes have mounts for a water bottle on the underside of the top tube, a 73mm threaded bottom bracket shell, and a second set of bottle mounts on the downtube for the company’s NUTS (Necessities Under The Saddle) storage system. 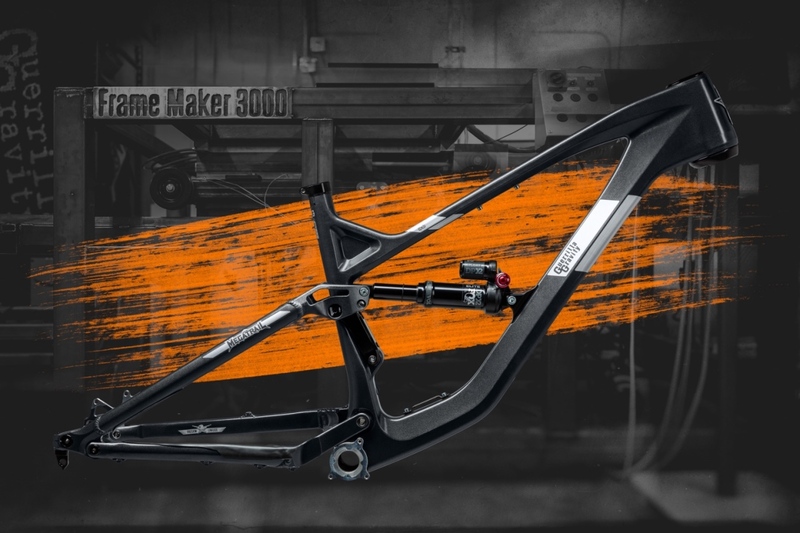 Frames without shocks retail for $2195 and have a claimed weight of 6.5 pounds for a size 3, which is equivalent to a large in other brands. If you’ve event wanted a quiver of bikes but have been turned off by the price, Guerrilla Gravity’s approach might be for you. The rear axle is mounted to the seatstays, lengthening or shortening the rear center to account for travel and wheelsize. The seatstay kit includes the appropriate linkage and all the hardware needed to convert from one model to another. Swapping the rear shock for one with the appropriate eye-to-eye and stroke length completes the travel, geometry and wheel size conversions. 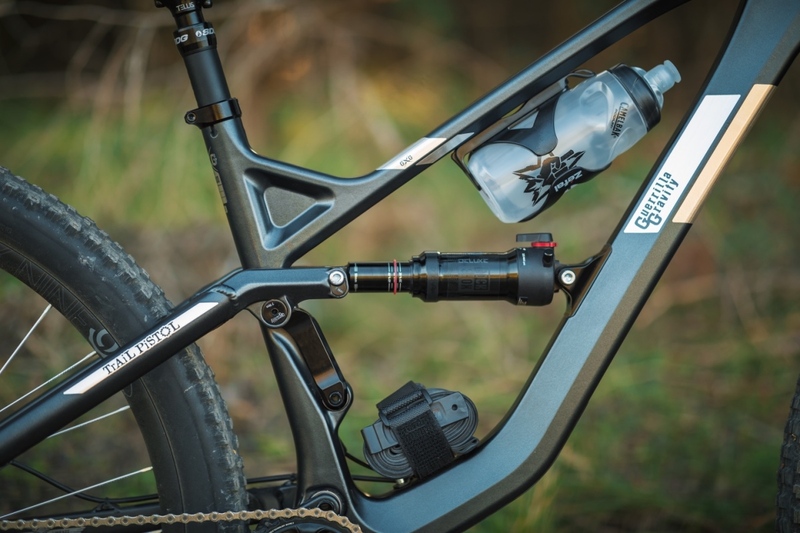 Riders can supply their own shocks or buy through Guerrilla Gravity as part of the kit. 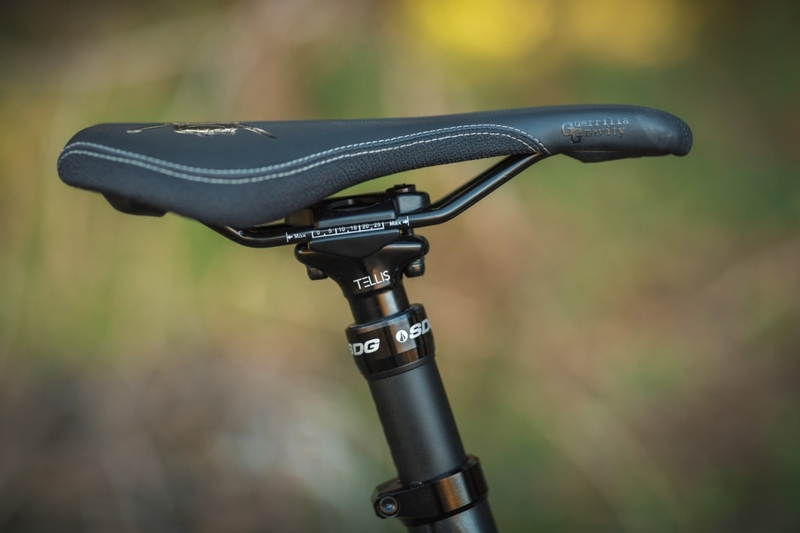 The seatstay kits retail for $445 without the shock. According to the company, the swap between models can be done by a competent home mechanic in under an hour. Here’s a quick rundown of the 2019 model line-up along with corresponding geo charts. 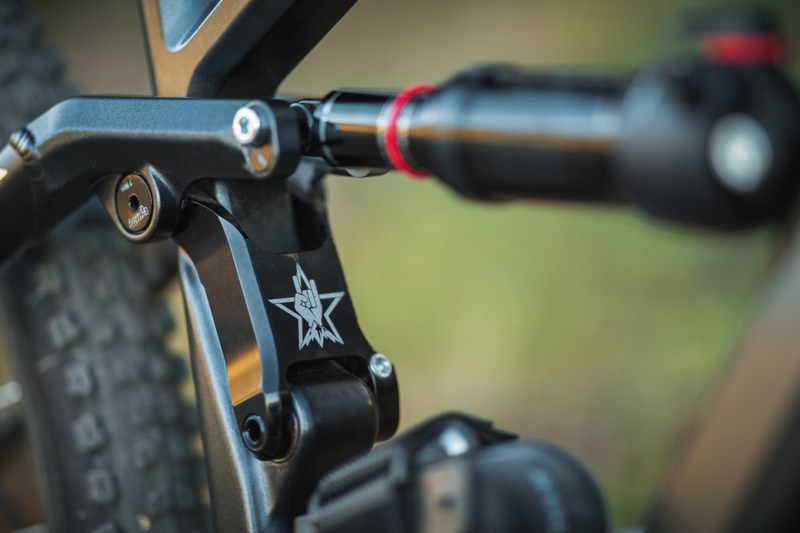 The Trail Pistol offers 120mm of rear travel and is compatible with 130-140mm forks. 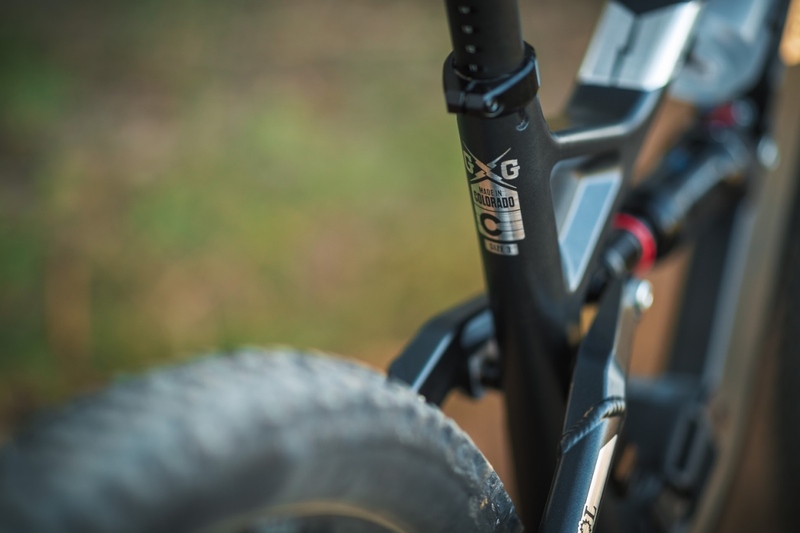 Chainstay length has decreased slightly from the 2018 version to make this short-travel 29er a bit more playful. 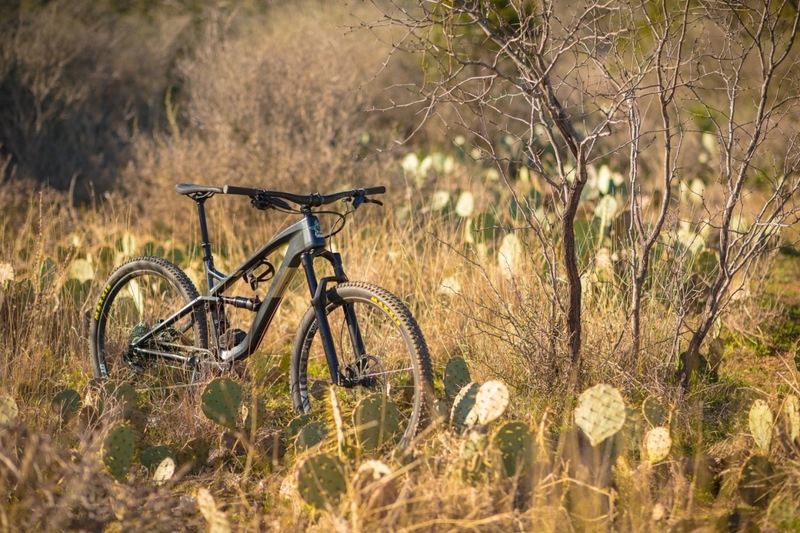 The long-travel 29er in the line gets a boost in rear travel from 140 to 145mm. 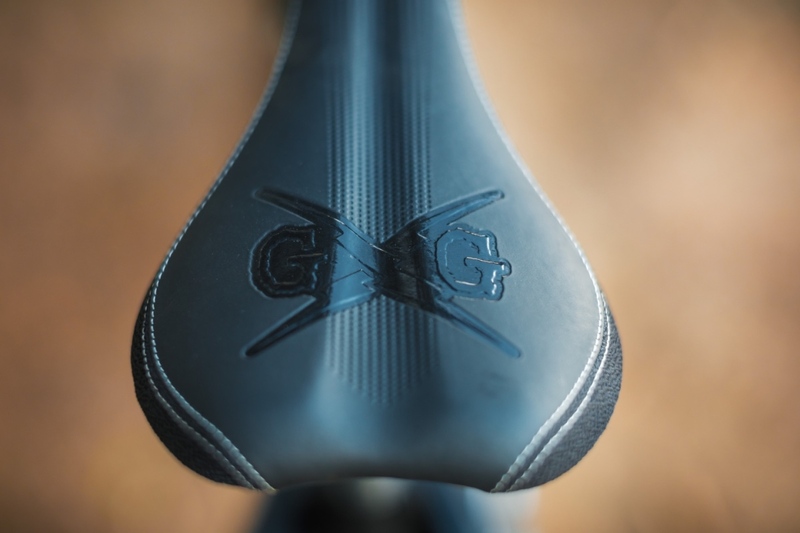 Geometry has been adjusted as well, with a slacker head angle, steeper seat tube angle and 8mm longer chainstays to improve high-speed stability. 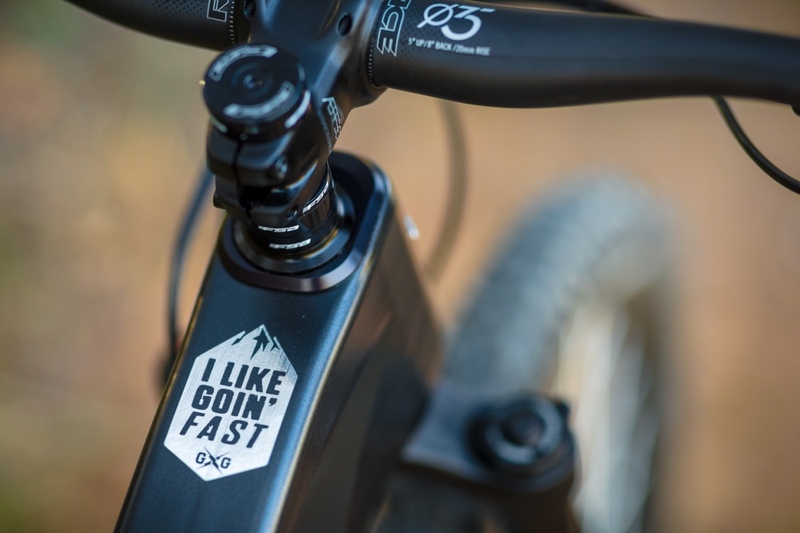 Builds come standard with 160mm forks and the ability to run a 170mm fork if you really want to get rowdy. 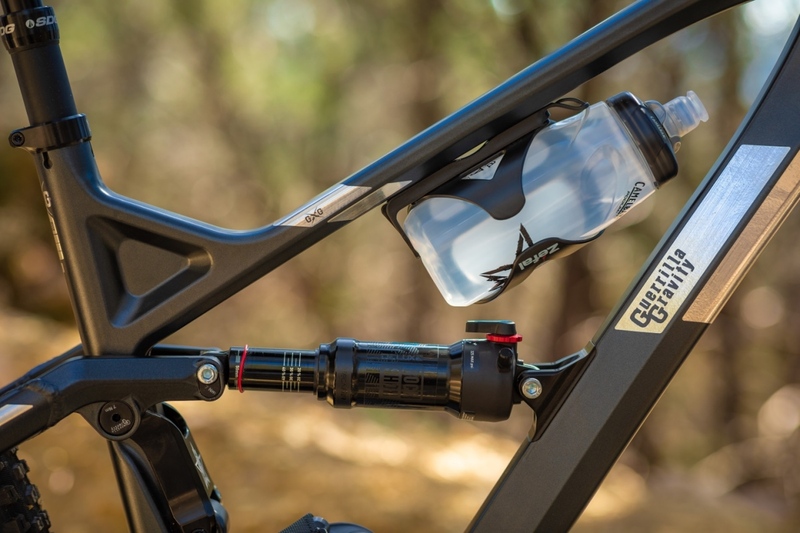 The longest-travel rig in the Guerilla Gravity arsenal is the only one that gives riders the ability to adjust the geometry and suspension travel at the same time. 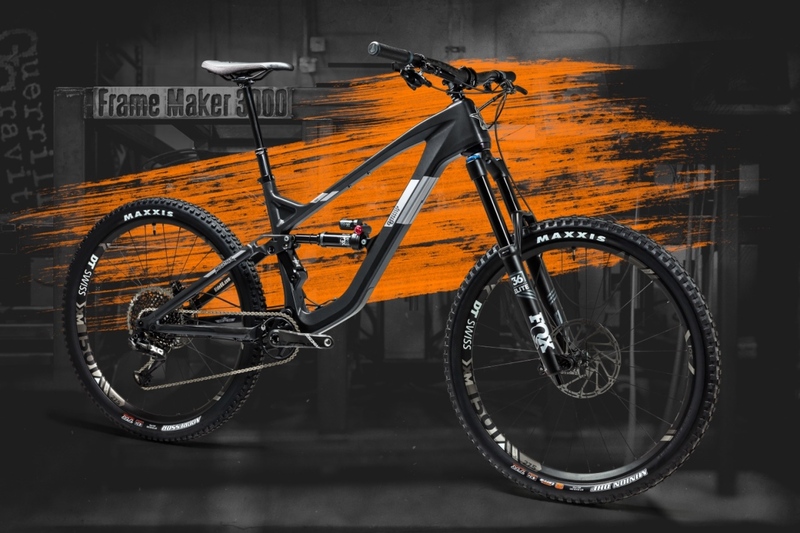 This 27.5-wheeled model offers 155mm in trail mode and to 165mm in gravity mode. 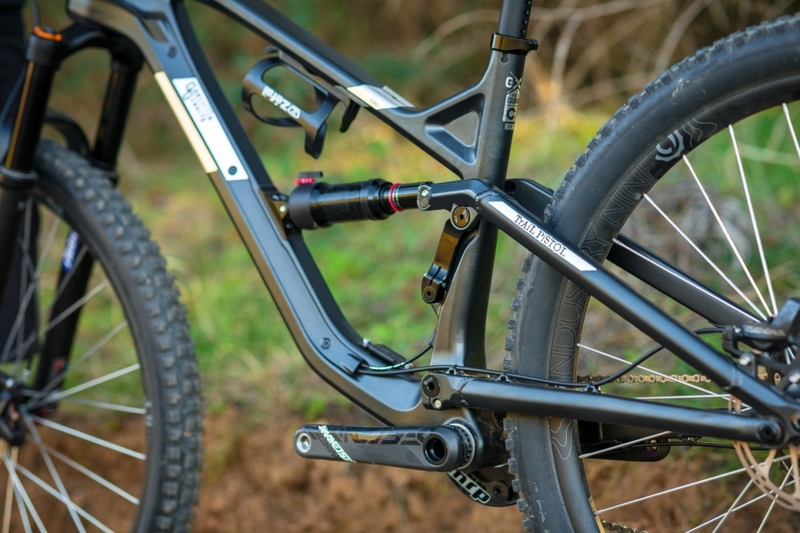 It comes standard with a 180mm fork. 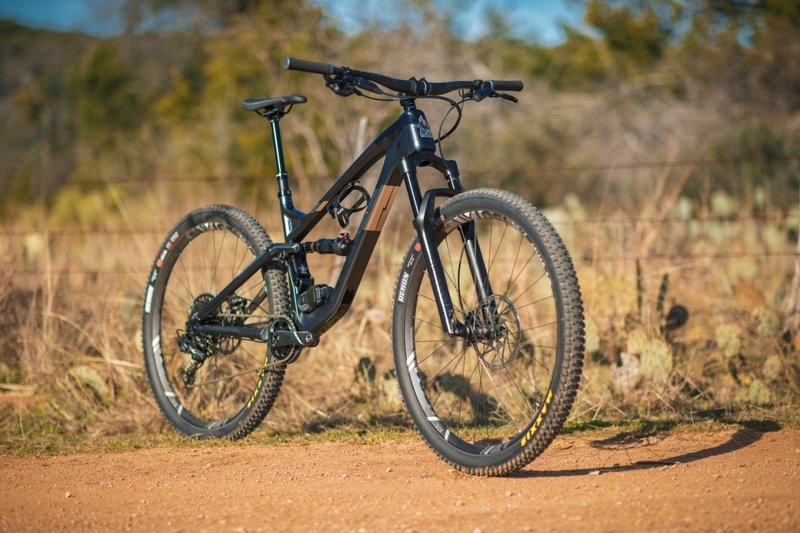 Designed as the most playful bike of the bunch, the Shred Dogg offers 130 or 140mm rear travel options with no change in geometry. 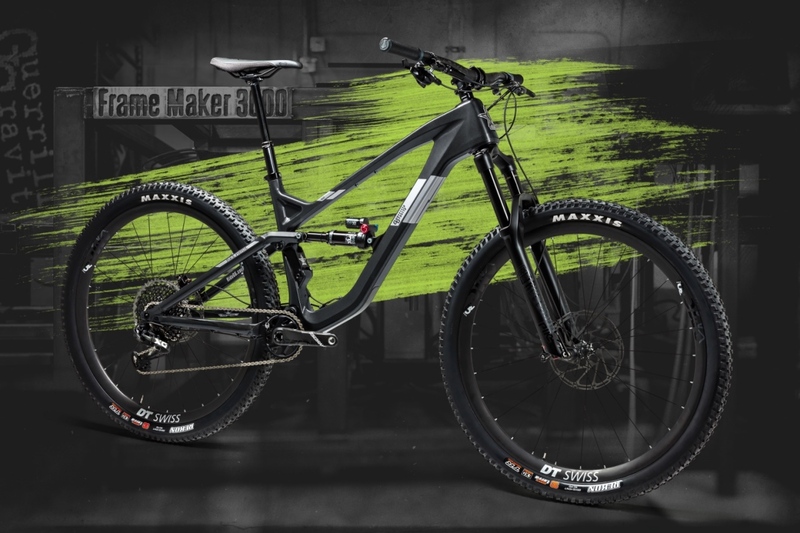 This 27.5-inch model comes with a 150mm fork and is the only bike in the line compatible with 27.5×2.8 tires. Some brands shy away from customer modifications. Guerrilla Gravity, on the other hand, embraces the idea. 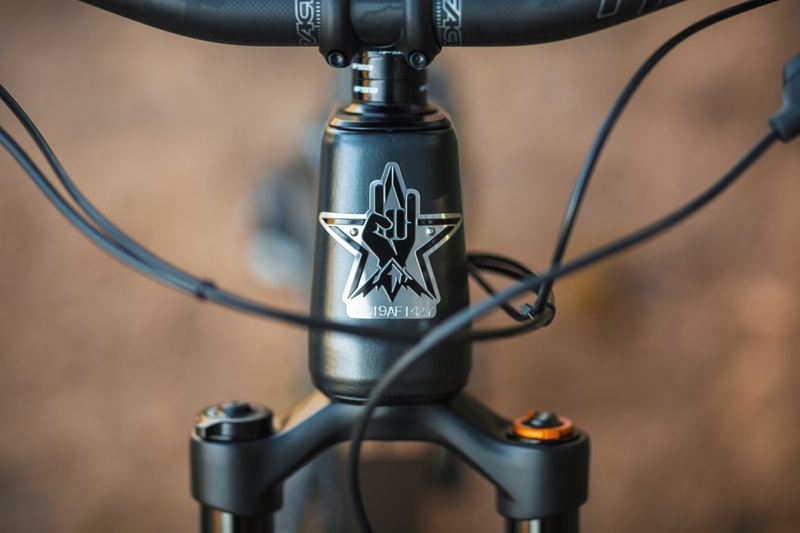 In addition to the four models built around the Guerrilla Gravity Revved carbon frame platform, riders can further customize builds by combining seatstay kits, shocks and wheel sizes. Two popular options among Guerrilla Gravity’s staff include the Pistola and MegaSmash. The Pistola is a Trail Pistol with a 5mm longer, 210x55mm, stroke shock. This boosts rear wheel travel from 120 to 130mm. 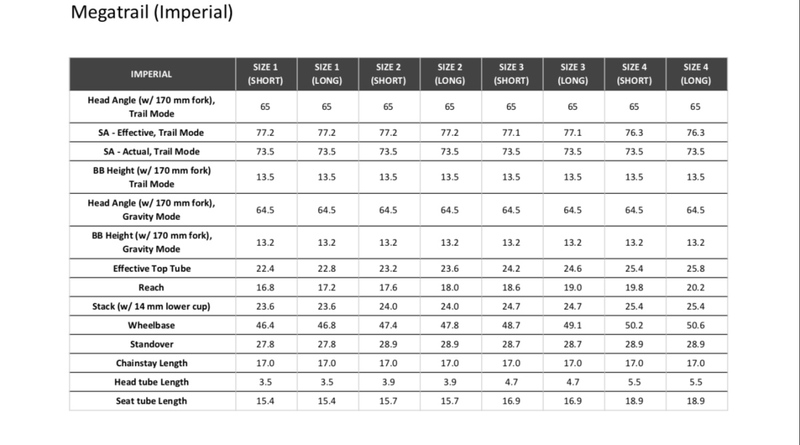 The company notes that rear tire clearance at full compression is limited to 29×2.4. The MegaSmash is 29/27.5 hybrid designed for park riding. 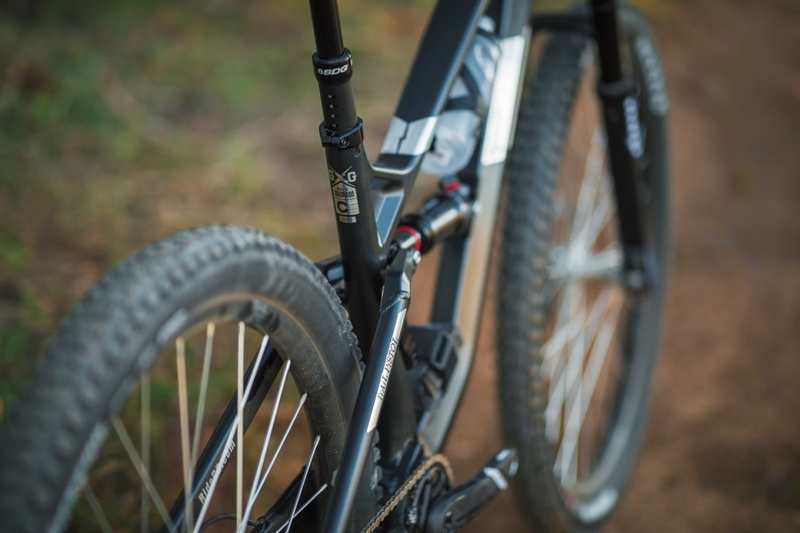 Adding a 170mm fork, the Megatrail seatstay kit and longer stroke shock increases rear wheel travel to 165mm with a 27.5-inch wheel. 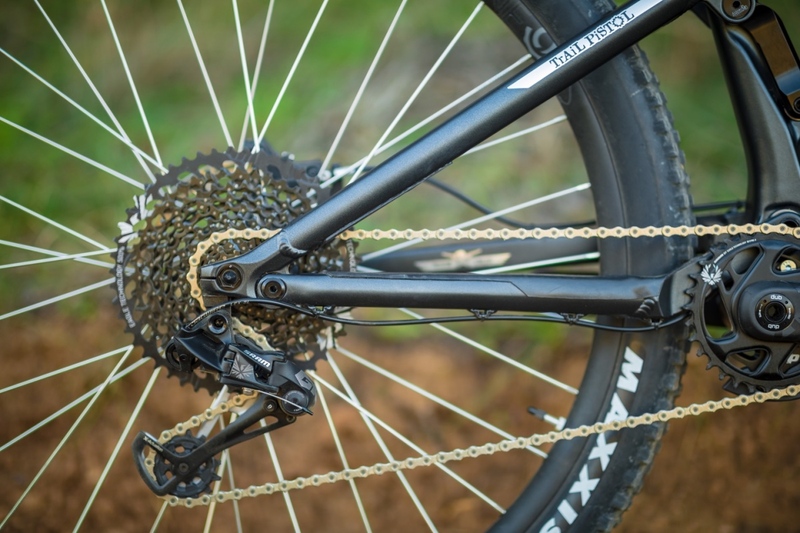 “This is the option when you don’t want to get zipped by a 29er rear tire,” said Montague. Guerrilla Gravity plans to post hack articles on the company’s website to help riders customize their bikes and share set-ups. “We think there’s going to be a really cool community that grows up around this,” Montague added. 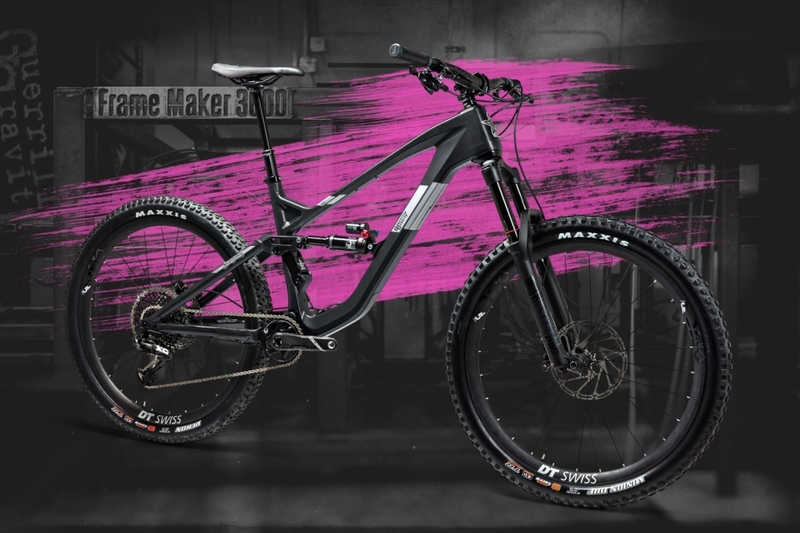 Head to ridegg.com to learn more about the 2019 Guerilla Gravity line-up of bikes. See what made this month's Check Out, including gear from Etnies, Wahoo, and more!